With one last semester to go of his two year stint at Andrews College, in Atlanta, USA, 22 year old Troy Ceasar, has already begun the process of looking at his next step, with his organisational and focused ability that has kept him progressing in both his life and the sport he loves, Football. Cesar has been fantastically supported by his Parents during his stay at College and has also received funding from the FA’s Scholarship programme, which was launched by President, Mr. Andy Bickerton some five years ago and has already given Academic opportunity to over half a dozen Male and Female soccer players. 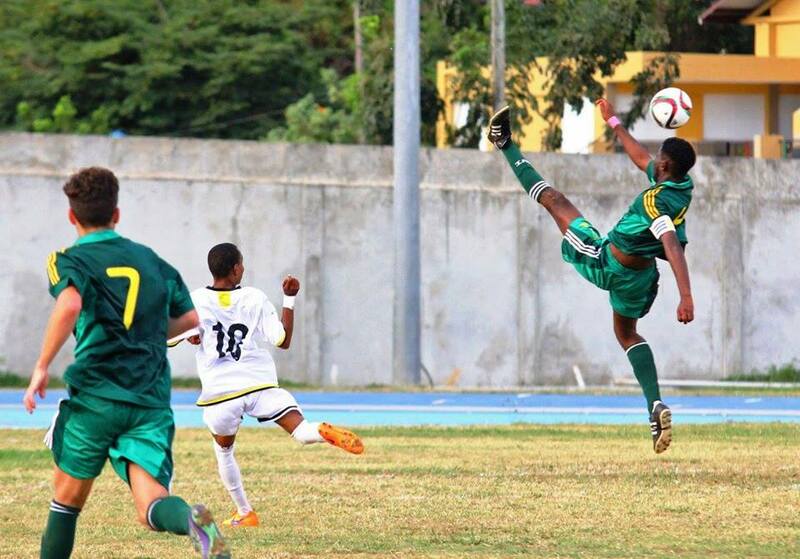 A product of the Football Associations Youth Development and School Leagues programmes, Troy has most recently been rewarded with a pick on the Caribbean Football Young Stars awards, 2016, in which 15 young players from around the Region were nominated by Coaches and Writers. To make the list Ceasar had to be U23 and born in the Caribbean as well as have his performances for College, where he has already received All Region Honours, Club and Country closely followed throughout 2016. His Coach at Andrews, Rudy Roediger says Ceasar has a top speed of over 20 miles an hour, is skilful with the ball, with a bit of flair and has learnt to use both feet. He completes roughly 80 per cent of his passes and steps out of the defensive line with awareness and a will to win the ball. He wins 90 per cent of his aerial duels with his 38 inch verticals and is a very versatile player. Being at Andrews College opened my eyes to education and to football. Troy, a very humble and honest young man also heaped praise on the Coaches he has worked with coming up through the system in the Territory. 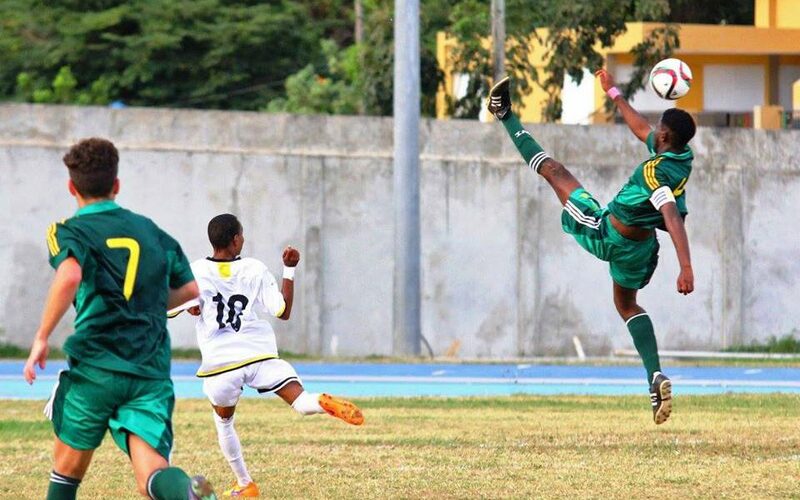 Ceasar made his international debut at the age of 16 in a tournament in the Dominican Republic. Troy has some great words of advice for the upcoming younger players looking to follow in his footsteps. Ceasar is currently studying computer programming and business administration and will continue to do so when he finally decides on which of his offers he takes up. He supports Chelsea from the English premier league and recommends all young players to watch as many games on TV or live as they can, so they have a better understanding of the game and get better themselves by emulating their heroes. He also suggests youths always train and play as best as they can, because they never know who is watching. One day Cesar would like to make it as a pro player and sees college as a great way of achieving that goal!